Jeremy James Farrar (born 1961) OBE, FRCP, FRS, FMedSci was a Professor of Tropical medicine at the University of Oxford. In 2013, he was appointed director of the Wellcome Trust, one of world’s largest and wealthiest research charities. Farrar was educated at University College London Medical School, from where he obtained a Bachelor of Science degree in Immunology in 1983 and a Bachelor of Medicine, Bachelor of Surgery in 1986. Farrar completed his Doctor of Philosophy degree at the University of Oxford in 1998 on myasthenia gravis. From 1996 until 2013, Farrar was Director of the Oxford University Clinical Research Unit in Vietnam. Farrar was Professor of Tropical Medicine and Global Health at the University of Oxford from 2000 until 2013. 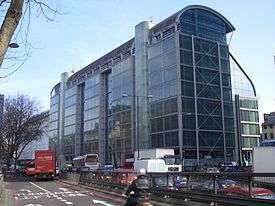 In 2013, Farrar was appointed Director of the Wellcome Trust. Farrar's research interests are in infectious diseases such as Tuberculosis, Dengue, Typhoid fever, Malaria, and Influenza H5N1. Farrar was elected a Fellow of the Royal Society (FRS) in 2015. 1 2 Woolhouse, Mark; Farrar, Jeremy (2014). "Policy: An intergovernmental panel on antimicrobial resistance". Nature. 509 (7502): 555–7. doi:10.1038/509555a. PMID 24877180. 1 2 Farrar, J; Cressey, D (2014). "Straight talk with...Jeremy Farrar". Nature Medicine. 20 (2): 112. doi:10.1038/nm0214-112. PMID 24504397. ↑ Chun, Jane M (2014). Livelihoods under stress: household assets and responses to environmental change in the Mekong Delta, Vietnam (DPhil thesis). University of Oxford. ↑ Karkey, Abhilasha (2012). Evaluation of strain circulation and the epidemiology of enteric fever caused (DPhil thesis). University of Oxford. ↑ Tricou, Vianney M (2011). Dengue diagnostics and therapeutic interventions in Viet Nam (DPhil thesis). University of Oxford. ↑ Tickle, C; Crawley, A; Farrar, J (1989). "Retinoic acid application to chick wing buds leads to a dose-dependent reorganization of the apical ectodermal ridge that is mediated by the mesenchyme". Development (Cambridge, England). 106 (4): 691–705. PMID 2562664. 1 2 3 "Professor Jeremy Farrar OBE FMedSci FRS". London: Royal Society. Archived from the original on 2015-11-17. 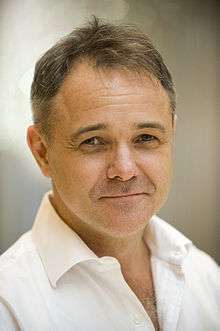 1 2 "Dr Jeremy Farrar OBE FMedSci". London: Academy of Medical Sciences. Archived from the original on 2014-09-25. ↑ Maxmen, A. (2009). "Jeremy Farrar: When disaster strikes". Journal of Experimental Medicine. 206 (1): 4–5. doi:10.1084/jem.2061pi. PMC 2626674 . PMID 19153250. ↑ Pouplin, T.; Phuong, P. N.; Toi, P. V.; Nguyen Pouplin, J.; Farrar, J. (2014). "Isoniazid, Pyrazinamide and Rifampicin Content Variation in Split Fixed-Dose Combination Tablets". PLoS ONE. 9 (7): e102047. Bibcode:2014PLoSO...9j2047P. doi:10.1371/journal.pone.0102047. PMC 4086978 . PMID 25004128. ↑ Gilbert, M.; Golding, N.; Zhou, H.; Wint, G. R. W.; Robinson, T. P.; Tatem, A. J.; Lai, S.; Zhou, S.; Jiang, H.; Guo, D.; Huang, Z.; Messina, J. P.; Xiao, X.; Linard, C.; Van Boeckel, T. P.; Martin, V.; Bhatt, S.; Gething, P. W.; Farrar, J. J.; Hay, S. I.; Yu, H. (2014). "Predicting the risk of avian influenza a H7N9 infection in live-poultry markets across Asia". Nature Communications. 5. doi:10.1038/ncomms5116. ↑ Farrar, Jeremy (1997). Analysis of combinatorial immunoglobin libraries from a myasthenia gravis patient (DPhil thesis). University of Oxford. ↑ Watts, Geoff (2013). "Jeremy Farrar: Wellcome arrival from southeast Asia". The Lancet. 382 (9899): 1167. doi:10.1016/S0140-6736(13)62047-4. ↑ Thwaites, G. E.; Nguyen, N. D.; Nguyen, N. H.; Hoang, H. T.; Do, D. T. T.; Nguyen, N. T. C.; Nguyen, N. Q.; Nguyen, N. T.; Nguyen, N. N.; Nguyen, N. T. N.; Nguyen, N. N.; Nguyen, N. H.; Vu, V. N.; Cao, C. H.; Tran, T. T. H.; Pham, P. P.; Nguyen, N. T.; Stepniewska, K.; White, N. J.; Tran, T. T.; Farrar, J. J. (2004). "Dexamethasone for the Treatment of Tuberculous Meningitis in Adolescents and Adults". New England Journal of Medicine. 351 (17): 1741–1751. doi:10.1056/NEJMoa040573. PMID 15496623. ↑ Tricou, V.; Vu, H. T.; Quynh, N. V.; Nguyen, C. V.; Tran, H. T.; Farrar, J.; Wills, B.; Simmons, C. P. (2010). "Comparison of two dengue NS1 rapid tests for sensitivity, specificity and relationship to viraemia and antibody responses". BMC Infectious Diseases. 10: 142. doi:10.1186/1471-2334-10-142. PMC 2895602 . PMID 20509940. ↑ Guzman, M. G.; Halstead, S. B.; Artsob, H.; Buchy, P.; Farrar, J.; Gubler, D. J.; Hunsperger, E.; Kroeger, A.; Margolis, H. S.; Martínez, E.; Nathan, M. B.; Pelegrino, J. L.; Simmons, C.; Yoksan, S.; Peeling, R. W. (2010). "Dengue: A continuing global threat". Nature Reviews Microbiology. 8 (12): S7–16. doi:10.1038/nrmicro2460. PMID 21079655. ↑ Wills, B. A.; Dung, N. M.; Loan, H. T.; Tam, D. T. H.; Thuy, T. T. N.; Minh, L. T. T.; Diet, T. V.; Hao, N. T.; Chau, N. V.; Stepniewska, K.; White, N. J.; Farrar, J. J. (2005). "Comparison of Three Fluid Solutions for Resuscitation in Dengue Shock Syndrome". New England Journal of Medicine. 353 (9): 877–89. doi:10.1056/NEJMoa044057. PMID 16135832. ↑ Solomon, T.; Dung, N. M.; Vaughn, D. W.; Kneen, R.; Thao, L. T. T.; Raengsakulrach, B.; Loan, H. T.; Day, N. P.; Farrar, J.; Myint, K. S.; Warrell, M. J.; James, W. S.; Nisalak, A.; White, N. J. (2000). "Neurological manifestations of dengue infection". The Lancet. 355 (9209): 1053–1059. doi:10.1016/S0140-6736(00)02036-5. PMID 10744091. ↑ Farrar, J. (2012). "H5N1 surveillance: Shift expertise to where it matters". Nature. 483 (7391): 534–535. doi:10.1038/483534a. PMID 22460881. ↑ Hien, T. T.; Nguyen, N. T.; Nguyen, N. T.; Luong, L. T.; Pham, P. P.; Nguyen, N. V. V.; Pham, P. T.; Vo, V. C.; Le, L. T. Q.; Ngo, N. T.; Dao, D. B.; Le, L. P.; Nguyen, N. T.; Hoang, H. T.; Cao, C. V.; Le, L. T.; Nguyen, N. D.; Le, L. H.; Nguyen, N. T. K.; Le, L. H.; Le, L. V.; Christiane, C.; Tran, T. T.; Menno De, M.; Schultsz, C.; Cheng, P.; Lim, W.; Horby, P.; Farrar, J.; World Health Organization International Avian Influenza Investigative Team (2004). "Avian Influenza A (H5N1) in 10 Patients in Vietnam". New England Journal of Medicine. 350 (12): 1179–1188. doi:10.1056/NEJMoa040419. PMID 14985470. ↑ De Jong, M. D.; Simmons, C. P.; Thanh, T. T.; Hien, V. M.; Smith, G. J. D.; Chau, T. N. B.; Hoang, D. M.; Chau, N.; Khanh, T. H.; Dong, V. C.; Qui, P. T.; Cam, B.; Ha Do, D. Q.; Guan, Y.; Peiris, J. S. M.; Chinh, N. T.; Hien, T. T.; Farrar, J. (2006). "Fatal outcome of human influenza A (H5N1) is associated with high viral load and hypercytokinemia". Nature Medicine. 12 (10): 1203–1207. doi:10.1038/nm1477. PMID 16964257.